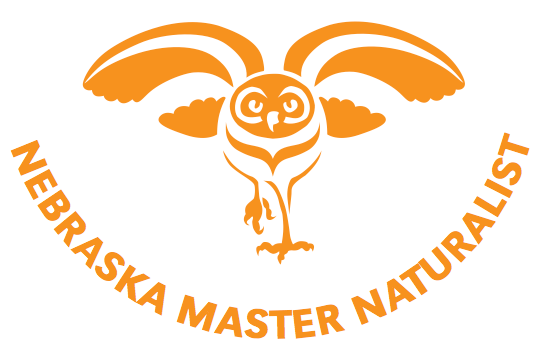 The Nebraska Master Naturalist Program is grateful to our Program Partners who have contributed so greatly to our success. Click on a partner link to learn more about them. If you are interested in becoming a Master Naturalist Program Partner, click here, or contact the Program Coordinator at 402-937-8601.  The mission of Audubon Nebraska is to promote the enjoyment, understanding, and conservation of Nebraska's natural heritage, especially native birds, other wildlife, and habitat. Bader Park includes 270 acres of very diverse property. The parks south boundary has almost a mile of Platte River front access, the Wood River on the north, and approximately 220 acres of tall grass prairie, meadow, wetlands, and cottonwood forests. Bird Conservancy of the Rockies (formerly Rocky Mountain Bird Observatory) is a Colorado-based nonprofit organization founded in 1988 to address a need for bird conservation and related public education in the western United States. A wonderful part of the natural world, birds are also leading indicators of environmental change. Unfortunately, many species are in trouble and need help. BCR's biologists, educators and natural resource managers work on solutions for bird and habitat conservation through a full-circle approach of Science, Education and Stewardship. We pursue our mission in collaboration with partners in the Rocky Mountains, the Great Plains, Mexico, and beyond. Located in the Great Plains, Chadron State College serves as a leader in distance education, offering more than 160 online courses. In addition, the city of Chadron provides exciting opportunities for anyone and everyone who has a passion for the outdoors- numerous sites for hunting, fishing, and sightseeing are only a day-trip away! The Crane Trust is a non-profit organization that operates year-round. We are solely supported by sponsorships, contributions, grants, and program fees. We seek to tell our story to a diverse audience of all ages from Nebraska, the nation, and around the world to increase awareness and appreciation of the Platte River ecosystem. This private non-profit provides citizens with quality environmental education, ecologically sound management of natural resources, preservation of historical resources, and increased opportunities for personal enjoyment of the outdoors. This organization offers a rich variety of programs to all ages. Girl Scouts Spirit of Nebraska is the largest girl-serving organization in the state, with more than 21,000 members. Our mission is to build girls of courage, confidence, and character, who make the world a better place. Tallgrass prairie once extended throughout much of eastern Nebraska but cultivation of the rich prairie soil reduced the extent of this ecosystem such that today only scattered remnants remain. With the gradual disappearance of the grassland habitat, prairie plant and animal populations also declined. Preservation of the remaining prairie remnants and ecological restoration are important for several reasons: (1) to make native biota available for the enjoyment of future generations, (2) to enable comparisons to be made with other uses of grasslands, such as cattle grazing or haying, and (3) to preserve the gene pool of native plants and animals. Heron Haven is a beautiful, spring-fed wetland sanctuary for humans as well as the plants and animals that live there. It is also an important educational and research asset to the Omaha community. Students from local schools and universities use the wetland to conduct ecological studies and for exploration of native species of plants and aquatic animals. Birders and photographers are avid visitors. It is open every day from sunrise to sunset. Entrance is free, though donations are accepted. There are no paid employees at Heron Haven. Master Naturalists and other volunteers contribute time to a monthly Second Saturday Program, an annual Wetlands Festival, and guiding visitors from schools and the community. Volunteers also contribute time to maintaining gardens and forest trails. Community connections are highly valuable and have included the Papio Missouri NRD, UNO, Mulhalls, Boy Scouts of America, and the Audubon Society. The Heron Haven volunteer opportunity priority is assisting with their 2nd Saturday nature program for families run by NMN Chris Robie. In the spring there will be survey, maintenance, and light construction projects. Volunteer Coordinator is Sam Bennett: samcbennett@gmail.com. The Hitchcock Nature Center exists to develop and foster appreciation and understanding of the Loess Hills as a globally significant landform through land management, environmental education, and low-impact recreation. Acquired by Pottawattamie County in 1991, Hitchcock Nature Center (HNC) currently consists of 1,268 acres located in the heart of the Loess Hills. The Loess Hills harbor some of the largest remaining prairie remnants in Iowa and provide refuge for plants and animals found nowhere else in the state. Hitchcock is open every day of the year for hiking, camping, picnicking, bird watching, snow sledding, star gazing, or simply enjoying nature. Lillian Annette Rowe Bird Sanctuary, commonly known as Rowe Sanctuary, is dedicated to the conservation of Sandhill Cranes, Whooping Cranes and other migratory birds, and their habitat along the Platte River in south-central Nebraska. Lincoln Children's Museum invites children to create, discover, and learn through the power of play. Build, dance, play, climb, create, sing, and laugh at the Lincoln Children's Museum in Lincoln, Nebraska. Here you can be whatever and go wherever your imagination takes you! The Lincoln Children's Museum offers three floors and 23,300 square feet of hands-on exhibits and imaginative programs that allow children and adults to discover the adventure of learning through play together. Our mission is to provide leadership and guidance in watershed management, by utilizing new technology and ecologically-based engineering and planning practices. The Division encourages sustainable growth by upholding responsible standards that maximize safety, minimize flood damage, and conserve natural resources to ensure quality of life for future generations. The National Drought Mitigation Center (NDMC), established at the University of Nebraska–Lincoln in 1995, helps people and institutions develop and implement measures to reduce societal vulnerability to drought, stressing preparedness and risk management rather than crisis management. The Nature Conservancy protects Earth's most important natural places through great science and smart partnerships. It is the leading conservation organization working around the world to protect ecologically important lands and waters for nature and people. With the help of volunteers and park partners, the National Park Service safeguards nearly 400 places and has more than 275 million visitors every year. NACEE is a coalition of Nebraska organizations and individuals with the interest in facilitating and promoting conservation and environment education for all Nebraska. This state program provides seed money needed to preserve critical habitat areas, protect water supplies, and establish recycling programs in Nebraska through a unique combination of lottery proceeds and private donations. The Commission works to maintain Nebraska's diverse environments; provides outdoor recreation opportunities; manages wildlife resources; and attempts to help Nebraskans appreciate their role in the natural world. The Invasive Species Project continues through a federal aid grant from the Nebraska Game and Parks Commission, and the Nebraska Cooperative Fish and Wildlife Research Unit. The web portal is designed to provide information to the public and private sector on invasive species issues. Information includes invasive species biology, monitoring and management methods, actual and potential maps of impact and risk, and invasive species news and events. Within each Pathway, there are six levels of achievement to be reached with incentives to keep you motivated and learning. Start with the basics by going through online tutorials and then quickly progress to hands-on programs. Once comfortable with your skills, you will have fun sharing your knowledge and helping others begin their own Nebraska Outdoor U! Pathway. Established in 1871, the University of Nebraska State Museum in Morrill Hall is the state's premier museum of natural history and home to Nebraska's first fulldome projection theatre Mueller Planetarium. The Museum is focused on promoting discovery in natural science, fostering scientific understanding and interpretation of the Earth's past, present, and future, and enhancing stewardship of the natural and cultural heritage of Nebraska through world class exhibits, collections, and special events. We are dedicated to environmental education, fish and wildlife conservation, and common sense public policy in Nebraska. Our organization brings together people who hike, bike, canoe, hunt, fish, camp, watch and photograph wildlife, and enjoy the outdoors. Our mission is to rehabilitate and release orphaned and injured wildlife, and through education, preserve and protect the natural habitat and species indigenous to Nebraska and the Great Plains. The means to accomplish this mission is to educate the public to an understanding of our Great Plains ecosystem and its component parts. The Papio-Missouri River NRD protects ground and surface water, reduces flood threats, slows the effects of soil erosion, creates and enhances wildlife habitat, and much more. Since 1963, the Nature Center has served the Lincoln area as an environmental education center and wildlife sanctuary. Eight miles of hiking trails wind through various habitats and take visitors past non-releasable raptor exhibits, as well as bison, elk, and white-tailed deer herds. Two interpretive buildings house hands-on and small animal exhibits. The Edna Shields Natural Play Area for Children provides a place for kids to dig, build, and climb. Prairie, bird, children’s, and herb gardens with many labeled specimens are both beautiful and instructive. Programming includes a preschool, nature camps, school hikes, scout badge work, birthday parties, special events, and a variety of other classes for all ages. Prairie Loft’s mission is to teach agriculture appreciation, outdoor education, cultural traditions, and the wise use of natural resources. We are staff, volunteers, friends, and partners, cultivating community among people who value the importance of community, nature, and agriculture. We began offering programs for all ages in 2007. Current activities include field trips, presentations, community events, facility rental, and collaborative programs with our partners. Prairie Plains Resource Institute was founded in Aurora, Nebraska in 1980 with the intent of preserving native Nebraska habitats for use as educational sites for biodiversity, preservation, science, history, and land management. A non-profit membership organization, Prairie Plains preserves, maintains, and restores native prairies and wetlands on its own land and on other private and public lands. These conservation sites are used for community education, recreation, and sustainable economic development. The mission of Prairie Plains is being carried out through four major efforts: prairie restoration, prairie preserves, education, and the Charles L. Whitney Education Center. Our mission is to inspire a sense of awe and stewardship for the natural world by supporting conservation, education, discovery, and recreation. This AZA accredited zoo exhibits both native & exotic animals from around the world. Our specialty is conservation education! There are many discovery areas for children of all ages to enjoy: splash pad, dino dig, petting zoo, water table, and more. It's a great place to spend the day, have a birthday party, attend exciting camps, learn, volunteer, and enjoy the wonders of the animal kingdom: chimpanzees, tigers, zebras, bison, bobcats, and more. The University of Nebraska at Kearney is a public, residential university that provides an affordable, student-centered regional hub of intellectual, cultural, and artistic excellence that has been a prominent part of Nebraska's higher education landscape for more than a century. University of Nebraska–Lincoln Extension's mission is to help Nebraskans enhance their lives through research-based information. The School of Natural Resources (SNR) was established on July 1, 2003 by the consolidation of the School of Natural Resource Sciences, the Conservation and Survey Division, and the Water Center. SNR's mission is to be an international leader in natural resources education, research, and outreach. The school is also the primary provider of natural resources information and service to the citizens and stakeholders of Nebraska. Wildcat Hills State Recreation Area and Big Game Reserve encompasses 761 acres of rugged rock buttes and pine-covered canyons. The Wildcat Hills Nature Center was opened in 1995 and offers a wide variety of nature programs.